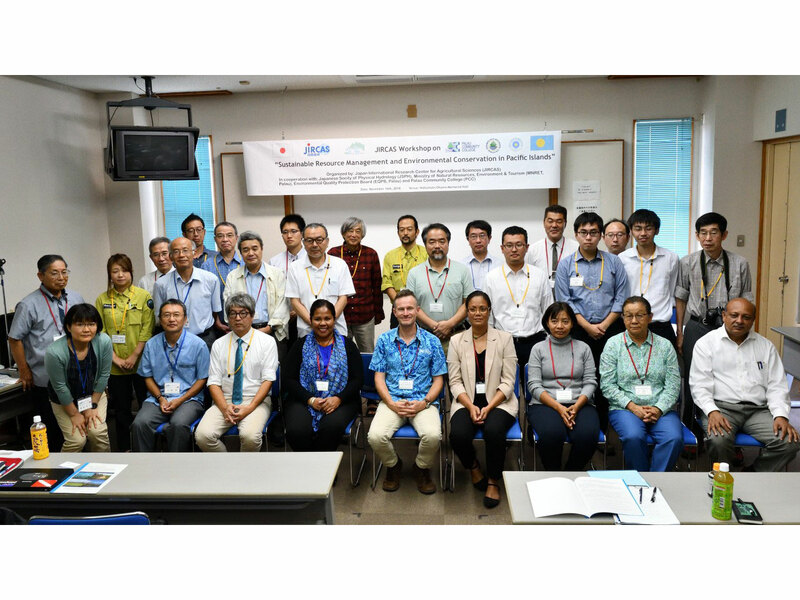 A satellite workshop titled “Sustainable Resource Management and Environmental Conservation in the Pacific Islands” was organized by JIRCAS and held in conjunction with the Annual Meeting of the Japanese Society of Physical Hydrology (JSPH) at the Nobumoto Ohama Memorial Hall in Ishigaki, Okinawa, on November 16, 2018. At the workshop, members of the JIRCAS research project titled “Development of Sustainable Resources Management Systems in the Water-Vulnerable Areas in Asia and the Pacific Islands,” consisting of six Japanese scientists (from JIRCAS and a collaborating university) and three counterparts from Palau, presented the results of their research and discussed current issues on environmental resource management and environmental policy in Palau. In addition, two guest speakers (not affiliated with the project) were invited to share their knowledge. Mr. David Hebbelthwaite, water governance coordinator at the Sustainabale Pacific Community (SPC), introduced and talked about Sustainable water resource management practices in the Pacific Islands. Dr. Mari Marutani, a professor at the University of Guam, gave a lecture on sustainable agriculture and the significance of environmental education in Guam. After the presentations, the participants vigorously discussed the various aspects of each topic, particularly those concerning sustainable water resource management, ways of achieving profitable agriculture and environmental protection, human resource development, and the enhancement of collaborations between Pacific island nations and Japan through the SPC, among others. 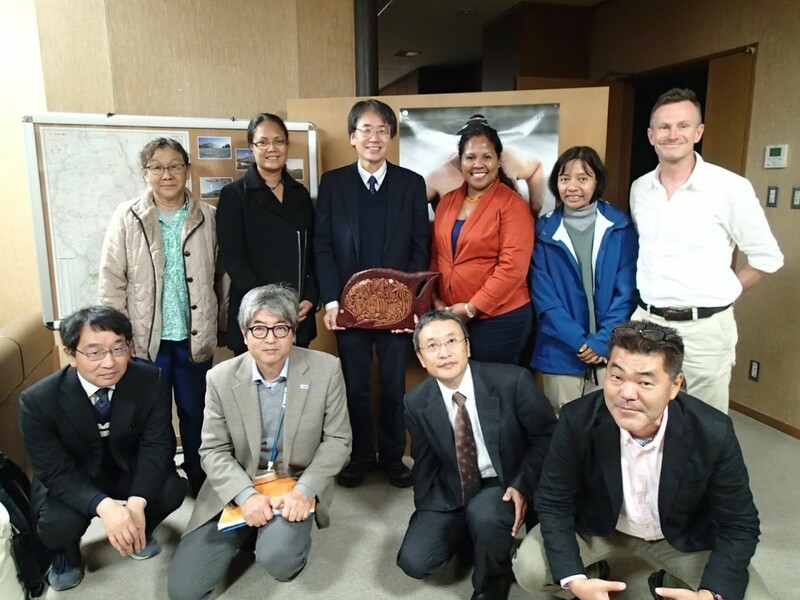 A total 40 people participated, including members of the JSPH and citizens of Ishigaki. Everyone showed great interest in sustainable natural resource management, thus bringing the workshop to a successful conclusion. 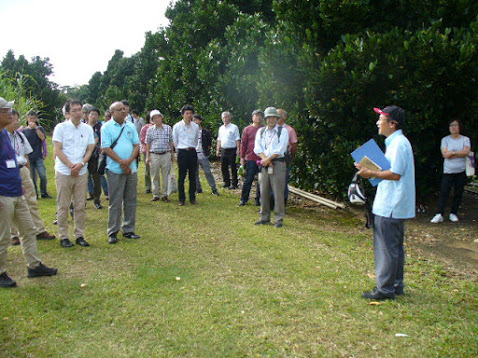 On November 18, the invited guest speakers and participants from the JSPH were given a guided tour of the Tropical Agriculture Research Front of JIRCAS in Ishigaki Island and the sand sedimentation basin that is being studied for the JIRCAS project. 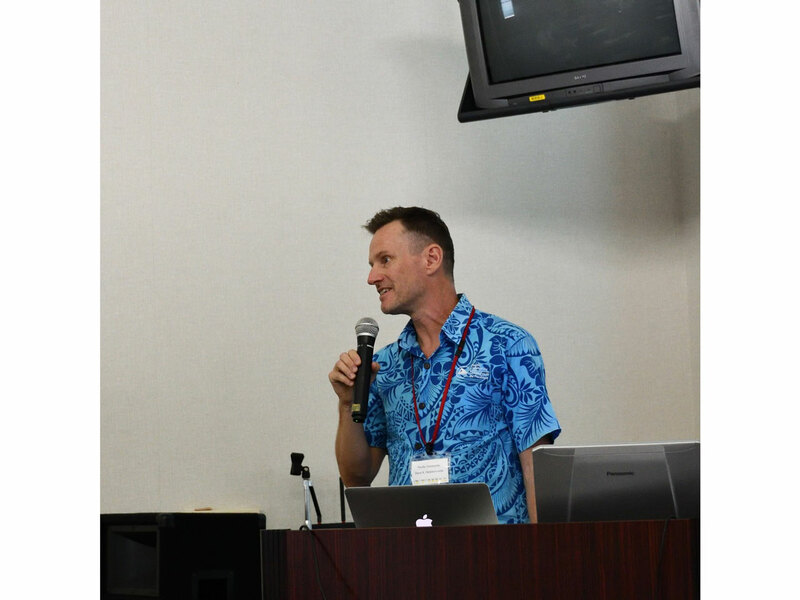 In closing, the workshop provided JIRCAS an opportunity to introduce its research activities in Palau and Ishigaki to people in and outside Japan who are interested in the common challenges faced by Pacific island environments. Promotion of research activities and maximization of the project outcomes will be expected through strengthening of collaboration with Pacific island countries.